First of all, thanks, everyone for commenting on my “Adjectives on the Typewriter” post! I will have a house tour very shortly. My plan is to have it up for my birthday on Saturday, February 6, so keep an eye out for it then. Secondly, I wanted to stray briefly away from highlighting presents that I received for Christmas to one of my favorite gifts that I gave this year. 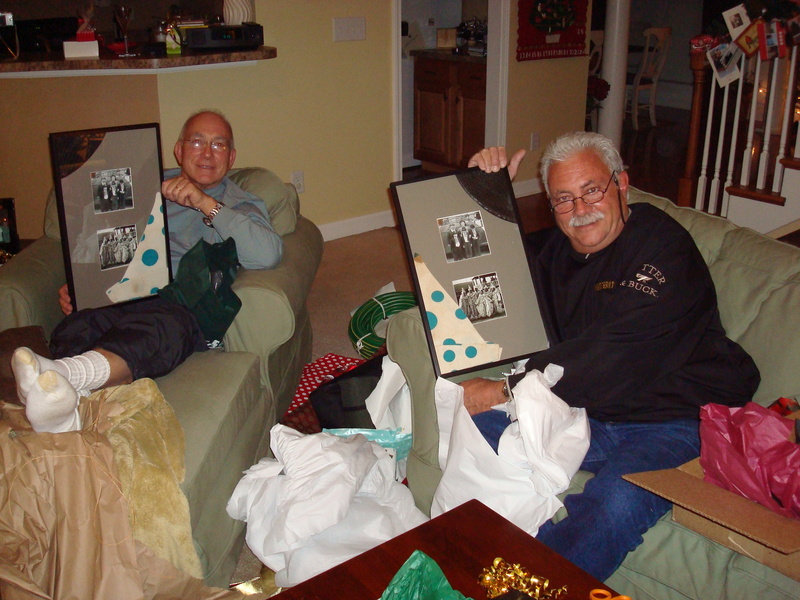 It was a project I put together myself, and I think it brought a lot of joy to my dad and uncle Dickie. I have been excited about it for a while and wanted to show you how I did it. So, when they were little, my dad and his two brothers went to Mardi Gras, dressed up, and rode on floats of a parade. I don’t remember the parade name or many other details, but we found the costumes that the family wore. They are so cute because they go from head to toe. I found a few of the hats from two of the costumes and took them to keep, not really knowing what I’d do with them. My mom also gave me all the photo albums that she had found of Maw Maw’s, and I was so excited to go through all the pages and boxes. I realized that several of the albums were of the Mardi Gras fun when Daddy and his brothers were little. I love old pictures regardless, but what can you do with one original that is only 3 inches by 4 inches? 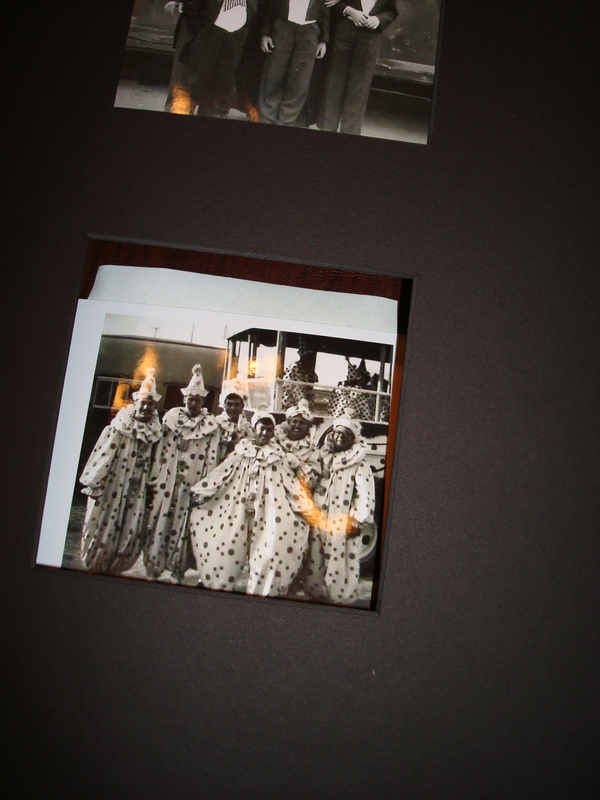 So, I decided to enhance and enlarge the old photos, make reprints, and frame them. 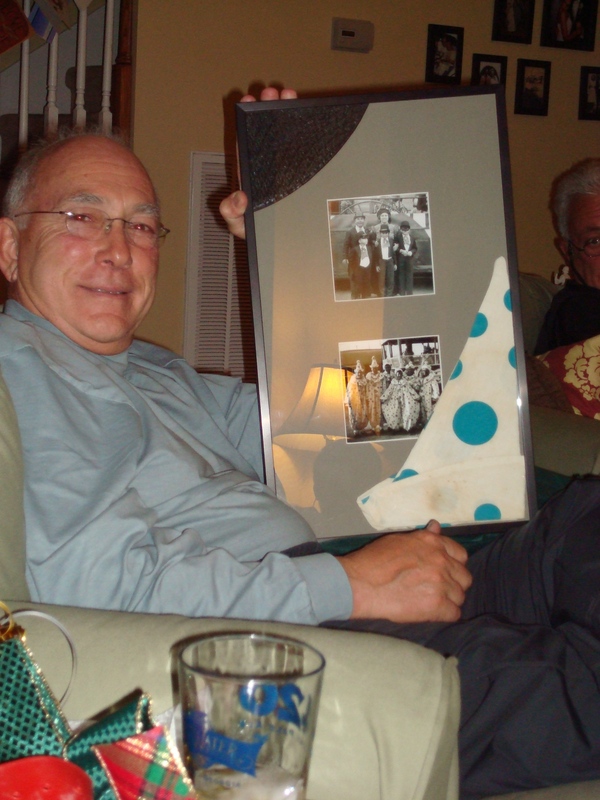 Then, the lightbulb went on, and I thought to put the hats the corresponded with the pictures inside the frame too. I taped the photos to the back of the frames with the acid-free tape, placed the hats strategically, and assembled the frame around it. It seems easier to do than what actually occurred, and JD can attest to my frustration and near tears when I mismeasured the mats and, on a different occasion, realized that one of the parts in the framing kit was faulty. But, all the sweat and tears were worth it by the time we opened presents! I wish I had given myself more time to work on the project, mostly so I could enjoy putting it together rather than rushing through a cool gift when the obstacles arose. 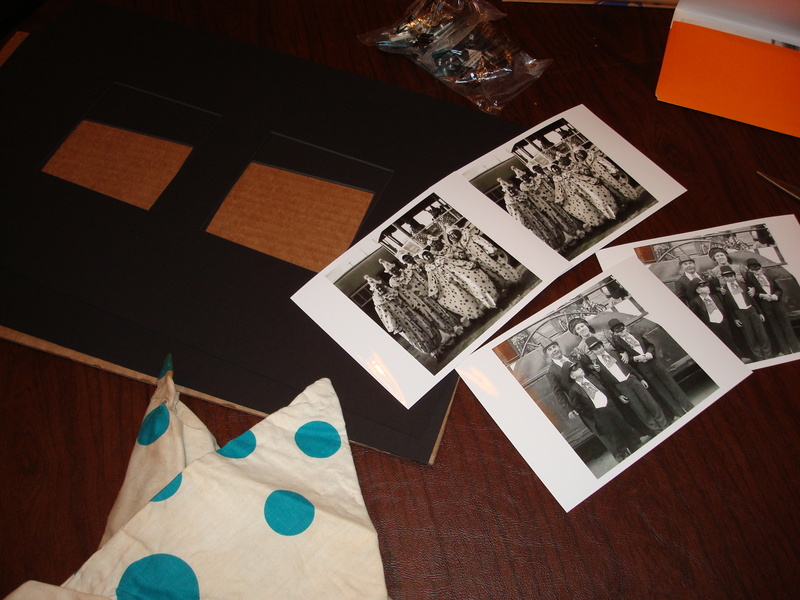 But, overall, it was a good idea and a fun way to use old pictures and old keepsakes! ahh so great! I loved seeing those pictures!! !